One of the aspects of the holiday celebration that my husband and I have always wanted to make a part of our family traditions is to serve others. As mentioned in previous posts, we are doing that through teaching our children to make their gifts instead of simply buying them. This gives them an opportunity to share their time and talents with others. Now that they are getting older, we want to step it up a notch and take the idea of serving others a little further. Today, I found a great blog post that I wanted to share with you. Amy Allen Clark, the founder of MomAdvice website shared this idea. Making care packages for the homeless or those in need. Not only are these a great idea for giving to the homeless, but think of the times when there is a natural disaster? Maybe a homeless shelter? What about kids who are entering into the foster care system? In the case of foster care kids, they often leave there homes with nothing but the clothes on their backs. At best, they may have a few changes of clothing but very little else. With alterations to the basic supply list Amy presents on her blog, you can customize these bags for any situation. I am even thinking of how these can be made up to hand out to young campers at the church camp our daughter attends each spring and fall. 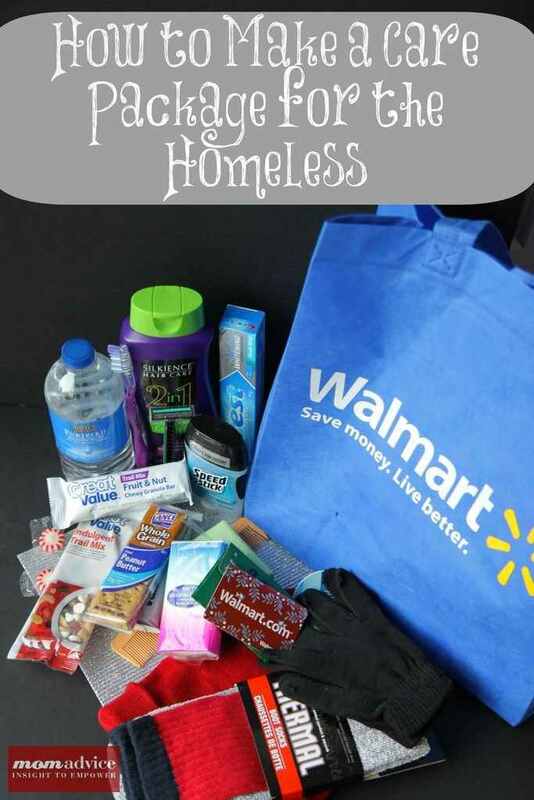 I strongly encourage you to take a look at Amy’s blog post, How to Make a Care Package for the Homeless. Even if you cannot make them this year in time for Christmas, you can make up a few at a time to hand out over the winter. Come summer, you can add things like sunscreen to the packages. The ideas are endless. The teaching opportunities for our children are priceless. If you are like me, you are always on the lookout for a new option for lunches. Years ago, I used to make my husband homemade hand pies for his lunches. Of course, this is before he went back into truck driving. Now that he is working local again, I have gone back to these as a good option for a hearty lunch. Hand pies are a common name in the US for large empanadas or pasties as they are known in other countries. Typically, they are a minimum of 3″ diameter in size. When I make them, I use a large empanada press that I bought through Amazon. The one linked below is the press that I purchased. It is low cost, but the quality has been great. It makes hand pies that are about 4 inches across the long edge. I make a batch of a bread-style dough (recipe below) before serving dinner. The dough rises as we eat the meal. After dinner, I roll out the dough and make the hand pies using leftovers from dinner or some other filling. The hand pies are baked while I clean up. Twenty minutes later, I have a batch of hand pies ready for the next day’s lunches. Some of the fillings that we have enjoyed lately include: Philly cheese steak, beef or chicken pot pie, taco meat and cheese, chili and cheese, pizza toppings, beef stew, chicken enchilada filling, shredded cabbage with beef & onion, and a vegetarian filling made with spinach, onions, slivered almonds and feta cheese. The beauty of making hand pies is that you are only limited by your imagination. The only real rule of thumb to follow is to not make a filling containing too much liquid. Add only enough liquid to moisten the filling without making the dough soggy. For fruit pies, you can use your favorite pie crust recipe, phyllo pastry sheets, or the bread dough listed below. We like the bread dough for most things. Unlike pie crust, the bread dough absorbs just enough of the pie filling to give the bread the flavors of the filling. One note about the bread dough, this bread will not turn a golden brown like most breads. Don’t wait for it to brown up or you risk over baking it. In a bowl, mix the ingredients in the order given. Dough will be slightly dry once fully mixed. Pour a little olive oil into your hand and coat the palms of your hands with it. Knead the dough. The olive oil on your hands should be just enough to moisten the dough to make it smooth and elastic. Set the dough in the bowl, cover with a towel, and allow to rise in a warm place until doubled. Gently punch down dough and knead lightly. Dough should be very soft at this point. Separate the dough into 12 equal portions. Roll each portion out to about the thickness of a nickle. Place onto empanada press and fill with just enough filling to cover the center. Check your press’ instructions for the filling capacity measurement. Close the press, folding the press shut and sealing the dough’s edge. Place onto a baking sheet. Bake the hand pies in a preheated oven at 350*F for 20 minutes. Note: Depending on your filling, you can freeze the unbaked hand pies to be baked later. On Facebook, I am hosting a Handmade Christmas Ornament Exchange. It has been so much fun making the ornaments to mail out to the swap participants. Mine are all crocheted. I went onto the Ravelry website and did a search for free patterns and found a plethora of ideas. I have always loved the look of old fashioned handmade ornaments. Each year, I try to make a new decoration or other item to add to our collection. Last year was the first time we had an actual Christmas tree. It is a small tabletop style, but in our home, that works for us. I have been busy crocheting a lot this year. Nearly everyone will be getting something crocheted or otherwise handmade. One new aspect is that both of the kids will be able to make gifts this year. I wasn’t sure if our son was going to be able to do it but found some neat ideas for crafts that both kids can make. I wanted him to make something a little more personal for his Occupational, Physical, and Speech therapists though, so designed an ornament for him to make each of them. He is learning sign language, so that will be incorporated into his project for them. I don’t have pictures at this time because the camera I was using doesn’t work anymore. I will try to post a picture tutorial later though if my husband is able to take pictures for me to upload. Here is one idea that is a very simple one to make. I am using the air-dry modeling compound made by Crayola for this project. Make a tracing of your child’s hand on a sheet of paper. Carefully cut it out. This will become a pattern for your ornament. Roll out the modeling compound to 1/8″ thick. Carefully use a knife to cut out the hand print pattern from the clay. Fold the middle and ring fingers downward so that the clay hand print looks like the sign meaning “I love you.” You may need to lightly dampen the folded fingers t make them stick to the palm of the hand. Next, using a small plate or bowl, cut out a circle that is slightly larger than the clay hand, from the 1/8″ thick clay. This will become the base you attach the hand print to. Lightly dampen the back of the hand and place it in the center of the ornament base. Press just firmly enough to make it stick well, but not enough to flatten the hand too much. You want the dimension of the sign language gesture to remain clear to see. Using a straw, make a hole for hanging the ornament at the top center. Let the clay dry thoroughly. You can speed up the process by placing it on a wire rack in a warm oven, if necessary. Follow the manufacturer’s instructions carefully if you attempt to dry them in the oven. Once completely dried and hardened, you can have your children paint their hand print ornaments. Use a permanent marker to write their name and the year on the ornament once the paint is dry. To give a shiny finish, you can spray the ornaments with a glossy clear coat of spray paint. After the ornament if finished, thread a ribbon through the hole and tie the ends into a knot. Enjoy!!! Another fun idea that Little Miss is making is a crocheted garland. She is just learning to crochet and wanted to make a simple decoration for the tree. So, she is crocheting a long garland using the basic chain stitch. I will be teaching her how to add beads to her garland as she crochets. It is really simple. This is a perfect first project for a little child to make. There is no gauge or specific hook size. All you need is the crochet hook, a smaller steel hook that is small enough to thread through a bead’s hole, yarn, and the beads. The distance between beads is up to the person making the garland. On our little tree, the beads will be about one bead every 1.5″ of stitches. Begin making the chain. When you reach the point where you want to add a bead, carefully remove the crochet hook. Using the steel hook, thread a bead onto the hook. Next, grab up the loop of yarn with the steel hook and slip the bead off of the hook, bring the yarn through the bead’s hole. Set aside the steel hook and place the yarn loop back onto the crochet hook you are using to make the chain stitching. Continue chain stitching until you are ready to add another bead. Repeat this pattern until the garland is the size you want. That’s it! A very simple garland that a child can make successfully. There are so many handmade decorations and gifts that kids can make for others. By teaching them from an early age to hand-make their decorations and gifts, you are not only teaching them a craft/skill, but are teaching them to give of their time and talents. It is something that will benefit them for many years to come. Some of what I am about to write may seem a bit opposite of what I have written previously, but actually isn’t. Our homestead goals haven’t changed. The primary focus of our goals has been to become as self-reliant as possible. To live a simple life that is as uncluttered by worldly demands as possible. In doing so, we have found that our family bond has been strengthened. More importantly, our faith in the Lord has grown as well. Recently, we have been taking stock of where we are at in reaching our goals. It has been a very enlightening time for us. One issue that came up is that of being able to hunt during turkey and deer seasons. We also have considered raising our own meat. In raising our own meat, we would grass-feed the animals only. We would raise the animals from spring through autumn, then have them butchered before winter sets in. This would save the costs of feed during the winter season when grazing is not available. Some of the livestock we have considered are a lamb, dairy/meat goats, chickens, turkeys, and possibly a pig. This will all take a bit of time to put together since we need to update the fencing and animal enclosures. The main idea is that we would not over-winter the animals. Any that we purchase in early spring would be butchered before winter sets in. With that goal in mind, we have to consider buying a chest freezer. There is no way I can home can and store that amount of meat in our pantry. We simply do not have the space for it. Also, there are meats that are not good for home canning. One example is pork. If we were to butcher a pig, the pork chops, bacon, and ham roasts would need to be frozen. Yes, some people have home canned pork, but there are cuts of meat that cannot be home canned. Two examples are the ham roasts and pork chops. With the rising cost of meat, raising our own seems to be the way to go. Having the amount of land that we do, there is no reason why we can’t raise our own meat. The question has been how to do this. Having a small solar power system, there is no way that we can use an electric freezer. Propane freezers are costly and difficult to find in our area. So, we are making an alteration to our homestead. In the coming months, we are building a shed that will be approximately 12’x12′ in size. The shed will be insulated and have a small propane heater for winter months. The shed will also have electricity from a power company. We are going to have a utility pole set up with a meter and an outdoor circuit box placed on the land between our house and the dirt road. The shed will be built near that pole so that we can have the electricity run from the pole to the shed. We will be using the shed as a multi-purpose building. It will contain a chest freezer, washer, dryer, and a home office area. Having the laundry in that room will make life much easier on me. I have found that having an autistic son makes doing laundry by hand just too time consuming. I need to be able to focus on homeschooling and home therapy activities. We have been using a laundromat for the laundry lately and will have to through the winter when it is far to cold outdoors to hang the laundry out on the line. There is no place to hang up the clothes in the house, so the laundromat is the only option. We currently average spending about $80 per month at the laundromat. Buying secondhand machines and doing the laundry at home will cost far less than that. This shed will be a great asset to the homestead. For the house, we still plan to add a wind turbine and more solar panels to provide for the household energy needs. We have been 6 years now without being on the power grid. In that time, we have learned much. We have found ways to work around the lack of electrical conveniences. In having a shed on grid, we are not taking a step backward in our goals, but a leap forward. Last night, another goal was met. We installed a new woodstove in our home to provide heat. Last year, we used a propane heater and it was not efficient at all. In fact, we used about $48 per week in propane just for the heater alone. That was $192 per month in propane for heat! Way too much! Then, in the middle of winter, the cost shot up from $1.99 per pound of LP to a cost of $5.00 per pound. It seemed that there was a bit of a shortage due to farmers using propane heaters to save crops stored in silos. With that shortage came the higher heating costs. The stove we purchased puts out a lot of radiant heat and needs no blower to circulate it. This is a very welcome addition to our homestead. We have plenty of trees that need to be thinned from our woods and are already seasoned. We have already started to buy some firewood, but are also harvesting some of our own. Another outdoor building we are designing is a shed a bit smaller than the multi-purpose shed mentioned above. The one will be insulated and have a propane heater as well. The purpose for this particular shed is to be a shower house. It will contain everything that a typical bathroom has. Easiest to think of it as a detached bathroom. It will be located near the house. We will still have the bathroom in the house, but this will be another option for us to use. Just as with the multi-purpose shed, this one will be within the fenced area of the yard. We will be able to use that bathroom whenever we are outdoors working or the kids are playing. The detached bathroom will also come in really handy when we go about remodeling the bathroom in the house. We are really excited about the changes we are making. The focus is still on simplicity and self-reliance, but with small alterations in how we go about that. As we begin making the changes, I will try to post pictures. We will be doing as much of the work ourselves as possible. Living as rural as we do, that is always an option that we have. We can do much of the work ourselves and only have professionals come in to advise or to do the final details, such as hooking up the electrical wiring to the circuit box. Between my husband and I, we have experience in doing most of the other work involved. Saturday, we started the process of downing an old tree that was not thriving. The tree also happens to be in the path of where the electric line will have to be run from the utility pole at the road and where the new pole on our property will be placed. Just stepping on one of the branches that was large enough to hold my husband’s weight, caused the dead branch to snap and break off. Our daughter loved to climb that tree but it was no longer safe. The wood of that tree, though freshly cut, is already dry enough to be used in the woodstove. We have three more trees in the north side of the house that also will be cut down over the coming months. The cutting down of these trees will solve a few problems, such as risks of branches breaking in ice storms due to the branches being weak from insect damage. It will also clear that entire yard so that we can plant new trees and a butterfly garden. This is the first portion of the property that a person sees when they drive up our driveway and we want it to be pretty. Last project we will be beginning once the weather has remained cold enough for snakes to be underground is to completely clear the garden area. It was unused this past summer and needs much work to prepare for spring. One goal that I have is to buy cinder blocks to frame some raised beds. Over the winter, I can put the blocks in place and start filling them about halfway with soil and mulch. In early spring, the boxes can have more soil mix added to finish filling the beds. Garlic, onions, and other root crops can be planted in them right away as soon as the ground is thawed. By Easter, the green beans, sugar peas, and leafy greens can be planted as well. This will give the garden a great head start. About Thanksgiving, I will be buying a couple of sweet potatoes to use for growing slips. These will also be planted in a raised bed if I have one put together for them. I will write how to grow slips for the garden when we start ours. It is a lot that we have going on over the next few months. I feel so grateful to have my husband home every night and on weekends. When he was on the truck and gone for up to 7 weeks at a time, it was hard to get the homestead in the position we wanted it to be going. I simply couldn’t do the work on my own when I have two young children and no extra hands to help. Now that he is home so much, Joe is able to help get a lot of the harder work dealt with and we are making faster progress as we go along.